This goes without saying, but do not share your passwords to anyone, especially anyone online. Passwords are a defense against hackers, so it is important to keep your passwords to yourself. As I have said, passwords are a major defense against hackers, so it better to use strong passwords. A combination of lowercase and uppercase letters plus a few numbers would make a great password. I also like to use phrases as passwords, it is long enough to be considered a string password. An example of a phrase as a password is “DougTheDogIsAGoodDog”. You must also change your passwords regularly. By changing it often, it limits hackers from cracking your password. It also limits breaches to multiple accounts (if you have the same passwords to multiple accounts). It is advised to change your password every 4 months, or at least every 6 months. Using the same passwords on multiple accounts is risky because if a hacker can gain access to one of your accounts, he/she can access all of them. So, it is better you use different passwords to different accounts. But it is hard to keep track of which password you used on which account. That’s where Password Managers come in. Password Managers help you manage your password through multiple account online. Some examples of a Password Manager are LastPass and 1Password. They can even generate ultra-secure passwords for you that you don’t even have to remember. Most online accounts today have two-factor verification. It is a way to ensure that only you can access your accounts. It sends an extra code via SMS or through an app, preventing someone else who got your username and password from logging in to your account. A Hardware Authentication Device is a device that can be used in two-factor authentication. It is a USB device that is used instead of sending a code via SMS. One example that I know of is a Yubikey. 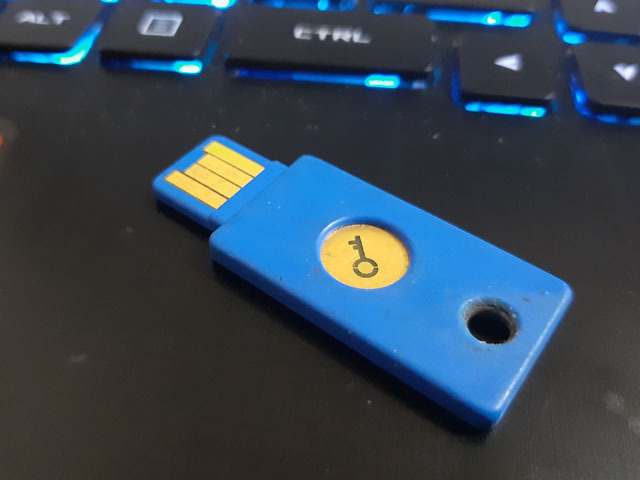 I have been using the Yubikey for a long time now, it was given to me by the Facebook team during one of their security roundtables with the media. But you can actually purchase a Yubikey at the Yubico website. There is a feature in Facebook where you can choose 3 to 5 friends to help you log in to your account if you ever get locked out. In your Facebook account go to Settings, and then go to the Security and Login tab to set this up (https://www.facebook.com/settings?tab=security). 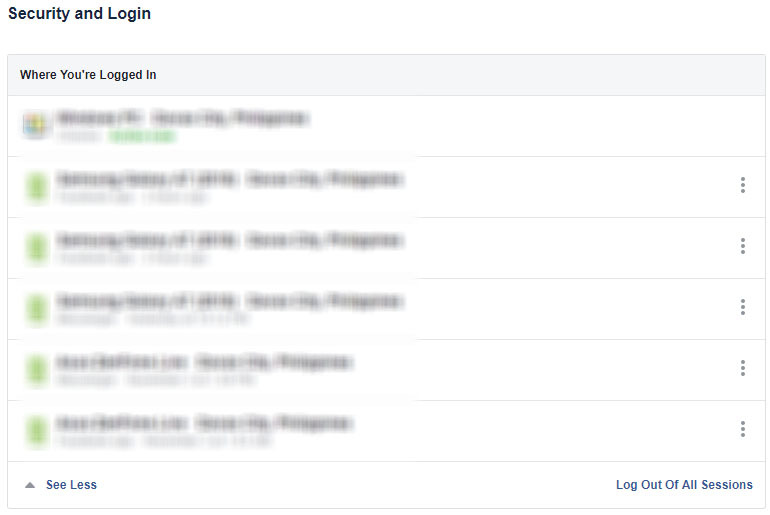 Facebook will send your friends codes which then you can use to regain access to your account. Most online accounts let you monitor your activity, including where you are logged in from. An example is Facebook. You can see it at the Settings area, in the Security and Login tab (https://www.facebook.com/settings?tab=security). Here you can view where you last few logins where from (I actually found out that my wife was accessing my account from this feature. LOL). 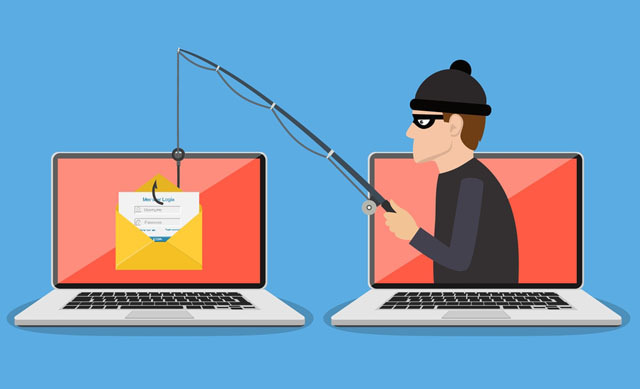 Phishing is an attempt to obtain sensitive information such as your usernames, passwords, and even credit card details. One method of phishing is by sending a person a link. The link often redirects the user to enter personal information at a fake website that look and feel real, sometimes even identical to the legitimate website. A way to be aware of phishing links is just a matter of mindset. Sometimes, it pays to be cautious (or even paranoid) of links. Always check the spelling of URLs before clicking the link, watch out for URL redirects, and analyze the link if you think it is suspicious. Of course, you shouldn’t share your username and passwords online. But it is also important not to share personal details about you that can be used to verify your identity. Details such as your home address, your birthday, the name of your high school teacher, or even your favorite sports team. Details that is used on your secret security question should not be shared publicly. Software Updates are such a drag, especially if it happens when you are doing something important. But those updates are very important because a big chunk of those are security updates. Most vulnerability comes through outdated software, so you should always keep your software up to date. There new security threats every other day and it is important to keep track of the latest vulnerabilities around the web. If you know the latest threats and breaches, and how to prevent and deal with them, then you won’t be caught off guard. Not all people can keep up with the latest tech news. But that’s where sites like Davao geek Hub can help.